India Leases & Rentals. Easy Download. Preview Before you Buy. Building Lease Agreement - India Building Lease Agreement for use in India. Leave And Licence Agreement - Mumbai (India) Leave And Licence Agreement for use in Mumbai, India. 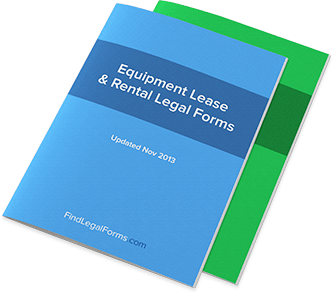 Equipment Lease Amendment Agreement (India) This Equipment Lease Amendment Agreement is designed for use in India. This form is available for immediate download. Equipment Lease Extension Agreement (India) This Equipment Lease Extension Agreement is designed for use in India. This form is available for immediate download. Equipment Lease Termination Agreement (India) This Equipment Lease Termination Agreement is designed for use in India. This form is available for immediate download. Office Equipment Lease Agreement (India) This Office Equipment Lease Agreement is designed for use in India. This form is available for immediate download. Bicycle / Scooter Rental Agreement & Release (India) This Bicycle/Scooter Rental Agreement and Release is designed for use in India. This form is available for immediate download. Boat Rental Agreement & Release (India) This Boat Rental Agreement and Release is designed for use in India. This form is available for immediate download. Horse Rental Agreement (India) This Horse Rental Agreement is designed for use in India. This legal form is available for immediate download. Off-Street Vehicle Rental Agreement (India) This Off-Street Vehicle Rental with Release and Waiver of Rights form is designed for use in India. This legal form is available for immediate download. Personal Watercraft Rental Agreement & Release (India) This Personal Watercraft Rental Agreement and Release is designed for use in India. This form is available for immediate download. Furniture Lease Agreement (India) This Furniture Lease Agreement is created for use in India and ready for immediate download.